As the VP of Kings of Retribution MC, I live and breathe club life. After suffering the loss of two women in my life, I grew cold and indifferent to the idea of love. I don’t need to let anyone in. I’ve seen the aftermath it can leave in its quake. The last thing I’m looking for is someone to fill the void. Will they overcome their demons in the end, or will they lose each other in the process? Lies will be told, secrets will be revealed, and what was once lost… will be found. Crystal and Sandy are Romance Authors and the sister writing duo behind several Love, and Purpose filled romances. 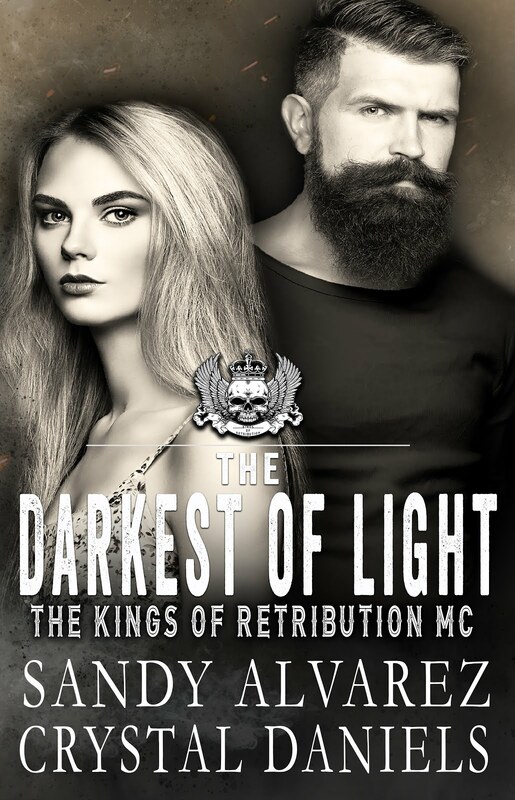 Since 2017 they have published seven books including The Kings of Retribution MC Series – Undaunted, The Darkest of Light, Finding Solace, Defy, Unbreakable and Lost King. And a standalone Novella – Leather and Mistletoe, an MC Christmas.